This coming winter, we will be hosting more than 25 events at Whiteface Mountain, ranging from council-level races to JI/JII Eastern Junior Finals. All of these events require a great deal of volunteers. We have positions for first-timers and seasoned race workers; we even have some indoor positions. For each day of volunteering you will receive a voucher good for a future day at Whiteface, Gore, Mount Van Hoevenberg or for an Olympic Passport. These vouchers do not expire and can be used during the holiday periods. Thank you to all the volunteers from previous seasons who come out in any and all weather conditions. I look forward to hearing from experienced volunteers, parents and new volunteers. 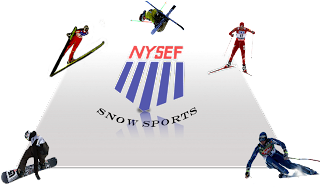 For more information and race dates, please e-mail brianf@nysef.org, call 518-946-7001, or check out nysef.org/wfraceregister.html. Thanks for the help - volunteers are invaluable and can make all the difference! Adirondack Daily Enterprise: "Burke, Bailey, Cook begin tours"
SARANAC LAKE - Three local biathletes will start a competitive international winter tour next week, but instead of Haley Johnson joining fellow Olympians Tim Burke and Lowell Bailey, it'll be Annelise Cook. Bailey was picked last weekend as the fifth and final member of the U.S. biathlon World Cup team, joining Burke in Ostersund, Sweden for the World Cup season kick-off Thursday. Bailey, 29, has called Lake Placid home since he was 10. Burke, 28, grew up 20 miles away in Paul Smiths, where his parents still live, but he bought a house in Lake Placid earlier this year. Both were Winter Olympians in 2006 and 2010, and Burke made history last season by becoming, for a time, the first American ever to wear the yellow bib as overall World Cup points leader. He, fellow Olympian Jeremy Teela and young prospect Leif Nordgren pre-qualified for this season's World Cup team based on last season's results. On the women's side, Cook, 26, of Saranac Lake, was chosen for the IBU Cup tour, a step down from the World Cup. She was a discretionary pick by the International Competition Committee after some strong results in a three-race trial series last week in Canmore, Alberta. "The ICC, in selecting Annelise Cook, noted that she showed great improvement over the previous season and had the next highest performance in the trials and was well ahead of the next rank competitor," the U.S. Biathlon Association wrote in a Nov. 19 press release announcing the team picks. "I'm pretty psyched," Cook said Wednesday, back in her hometown. Cook had dropped biathlon after missing the cut for the 2006 Winter Olympics, switching to nordic ski racing for the University of Utah. She returned to biathlon last winter, but "things didn't go that well," she said. "I didn't ski that fast, and I ended up getting cut from the national team in the spring," she said. "But I wanted to give it one more shot." Over the summer, biathletes and coaches in Lake Placid "were very gracious" in sometimes letting her join team training when she wouldn't be in the way. As a result, she said, her skiing speed has greatly improved, which was her favorite part of the recent trials. "It made racing really fun, instead of last year when it really stunk," she said. "Last year, I had to rely on my shooting. ... This year, I would say they're more even. I'm a decent shot; I'm pretty consistent, which is a good thing." But being a better skier "takes some of the stress away" when she approaches the firing line. "I'm super-grateful that people were very inclusive of me over the summer because otherwise there's no chance I would have made it - no chance," Cook said. Johnson has not yet qualified for either the World Cup or IBU Cup circuit. The 28-year-old from Lake Placid wrote on her blog Saturday, the day after the teams were announced, that she had skied well but shot poorly in last week's trials. But she will have more chances before the final World Championship team is picked in January. "I'll continue as planned and be ready to race later again in December at a NorAm in Mt. Itasca, MN for the IBU Cup Team Trials," Johnson wrote. "However, in this next month I'll be able to take a closer look at my shooting. I have some ideas of how to fine tune my competition shooting and with the help of my staff, we will re-evaluate the mechanics of my rifle (its a bit like a well-loved old car - 13+ years old? - and could use some new parts)." Bailey was a discretionary World Cup pick. "The ICC in selecting Lowell Bailey noted that he had very strong results over the summer/fall and had been sick before the trials so was not at his best for the races," the USBA wrote. "They also noted that he has played a very important role in World Cup Relays and that his experience there will be helpful to the team." Bailey is back home this week after the trials in Canmore. Burke has been in Ostersund since Nov. 15. Johnson was in Lake Placid earlier this month and visited with fourth- and fifth-grade classes at Lake Placid Elementary School on Nov. 5, talking about how exercise is harder at high elevations. Johnson regularly keeps in touch, visits and skis with LPES students. Bailey, Burke and Johnson grew up skiing and competing together in the Adirondacks. Cook did, too, albeit a couple of years behind. World Cup biathlon races start Wednesday for women and Thursday for men in Ostersund. Cook's first IBU Cup race will be Dec. 11 in Martell, Italy. Contact Peter Crowley at 891-2600 ext. 22 orpcrowley@adirondackdailyenterprise.com. My sister, Kara - a former freestyle mogul competitor, my Olympic Maid-of-Honor, and great skier among other things - is now livin' it up in her retirement as an avid tele skier on the slopes of Steamboat. 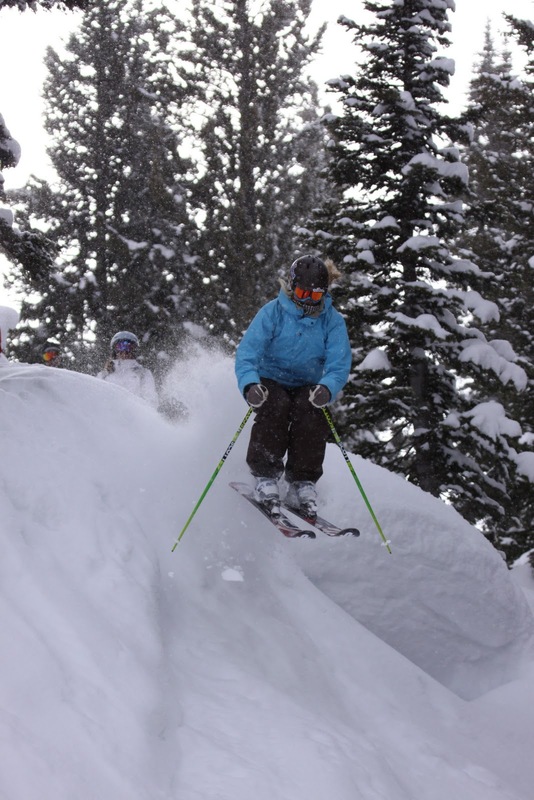 Studying at the Colorado Mountain College and moving towards a Physical Therapy degree, she picked up this sweet side job posting weekly about snow conditions and life on the mountain for Steamboat's Straight Talk blog. Here's her post from today: "White Friday"
Here, with my brother Lars and I in Vancouver. IBU US Biathlon press release: "...Upward Trend"
"Change Helps US Continue on Upward Trend"
"Earlier in the year, US Biathlon Head Coach Per Nilsson said the entire program had “gone back to basics” to begin the new Olympic cycle. Now after six months of training, Nilsson thinks this philosophy and some tweaks in the program have the team poised to continue its upward performance trend that started in 2006. " Glad to be a Friend-of-Dewey! 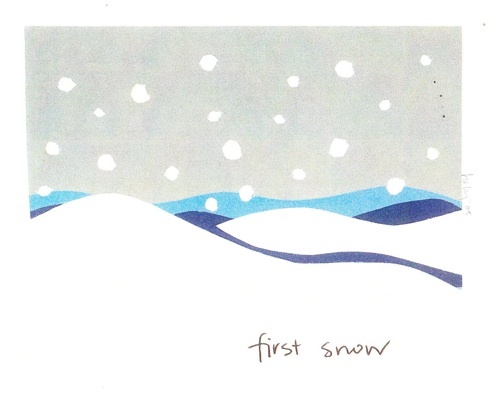 Thanks for the nice post on Saranac Lake's Dewey Mtn ski blog! Hope you all have a fun start to the winter season - snow is in the forecast! January 1st 'Top of the Morning' 5km skate - perhaps I'll see you all there if I am in town! Support Dewey and the "lifelong love of skiing, snowshoeing and fitness" that it has to offer. two race tops, two hand warmers and ..... too many misses in the range. I just finished up a 3 race Trial series in Canmore and three pretty cold days of racing. Everything got doubled up, and as mentioned, so did my misses on the range. Handwarmers taped to the backs of my hands to keep my precious trigger finger warm and alive worked well, and in addition to the quirky things skiers do to keep warm, racing actually wasn't that bad. Everything about the races felt great, except for many unexplained missed hits. I've had a pretty good training season and physically know I am where I need to be starting the year. I'll continue as planned and be ready to race later again in December at a NorAm in Mt. Itasca, MN for the IBU Cup Team Trials. However, in this next month I'll be able to take a closer look at my shooting. I have some ideas of how to fine tune my competition shooting and with the help of my staff, we will re-evaluate the mechanics of my rifle (its a bit like a well-loved old car - 13+ years old? - and could use some new parts). Its been cold here, but not too cold. The change of plan was tough at first, but not too tough. In this year I feel very lucky to have another month of solid training and some extra time at home before hitting the big time. There is plenty of opportunity to come and I am looking ahead towards January IBU Cups and continuing on with the rest of the biathlon season. And for now, I've got one more week of great training in Canmore. 1st race down - two more to go. Tough shooting, but good skiing. In a sport like this there is always room to improve! One of my sponsors, Trigger Point Technologies, was featured on EMS's (Eastern Mountain Sports) website this week. I am traveling with a couple of their tools this trip and I thought I would say thanks for their support by featuring them on my blog, too. The best gear on the planet won't help you if you're too sore to get out of bed or your legs cramp up after two miles on the trail. At Eastern Mountain Sports, we've seen how recent advances in sports medicine can offer better performance in the backcountry. If you want to warm up more quickly, hike/run/bike/ski longer, and recover faster, here are a few new technologies and tools to think about. If you've experienced a professional massage, you understand how muscle manipulations can relieve pain and decrease your recovery time. Since you can't take your massage therapist with you on a weekend hike, recovery tools such as The Grid foam roller are a terrific supplement between massage sessions. The Grid is specifically designed to safely and effectively massage your lats, quads, and lower back, and there are plenty of other tools available for other muscle groups that can help you feel better, faster. I have had four on-snow training sessions and now I have two pretty tight calf muscles. I had surgery for compartment syndrome in my shins (Tibialis Anterior compartment to be exact) 12 years ago, so tight calf and shin muscles have long been an issue of mine, but I was a bit surprised by how quickly they tensed and tightened with the change of ski surface and new boots. I've used Rossignol boots my entire life as a nordic skier/biathlete and this year's model is by far the stiffest. I really like the minimalist design, especially when paired with new skis and the new Rottefella bindings, but am glad to have had a few weeks of rollerskiing in them to adjust. On snow skiing has really fired up my soleus muscle and made it painful to walk downstairs. I've had a steady routine of icing, heating, massaging, and dynamic stretching to help my calf muscles loosen up, get warmed up and cooled down. Because I am dealing with smaller muscles and I didn't pack the Grid for this trip, I have been using Trigger Point's Massage Ball. Before skiing one specific way that I can release the tension from the balls of my feet to my knees is by rolling along the massage ball. I slowly roll the ball from toe to heel along the muscles in my feet, pausing along the way to give more pressure to a tender spot until it release with increased blood flow. In the wax room before skiing today using the Trigger Point Technology Massage Ball. Plus, wearing my wind turbine Teko socks. Its hard not to be superstitious when my socks now say "Feel the Power." Another way this little ball is handy is while stretching after training or an afternoon run. While sitting with both legs stretched forward (like a seated forward bend), I place the ball directly under my soleus muscle. I start just below the thickest part of the gastrocnemius muscle and work my way up. This is a bit more passive and lets gravity do the work, but gives the muscle time to reinvigorate blood flow and promote healing. Plus, I can do it while writing this blog. Afterwards, my whole calf area feels looser and less stiff. This is a good thing because tomorrow is the first race to kick off the season. Real snow flakes are finally starting to fall here in Canmore! Thankfully we've got a solid 1.2km loop to ski on, but it would be wonderful to get some more and to let winter begin. Tomorrow's race is Sprint - 7.5km (typically) with 2 shooting, prone then standing. It is also the first of three in our World Cup/IBU Cup Team qualifying series. Let it begin! Congrats to the US skiers competing in Finland this weekend! Fantastic start to the year!! Kikkan during the Olympic 30km Classic last February. Lake Placid elev. 1,801ft, Canmore elev. 4,430 ft.
Because I didn’t think that talking about altitude training would be interesting for a bunch of 8 to 11 year olds, I decided to respond to the request in a different way: elevation and who’s conquered it. To start things off I figured I’d speak of elevation most relative to them: the Adirondacks Mts. around us. My visit was on a Friday, post-lunch and I knew had to move fast to keep their attention and to not ramble outside of my 15 minute window. We started at the Lake Placid Elementary School, which is roughly 1,800 ft. I explained that I was soon heading to Canmore, Alberta in the Canadian Rockies - elevation 4,430 ft. My sketch on the board of nearly 3,000 foot difference didn’t completely catch their attention. So, I asked if any of them had climbed Whiteface Mt., elevation 4,867, before? A bunch of hands go up and they start to catch on. By the time I arrive in Canmore I’ll at an elevation similar to Little Whiteface. I then asked if any had climb Mt. Marcy, elevation 5,344 ft, the highest mountain in New York. A few more hands and a few more hiking stories arose. I continued that when I was in Utah last month, elevation 5,528 ft., I was higher than the whole state of NY. They've become a bit more interested at this point. Then I pulled out the straws and had them give a low oxygen state a try. [I made a mental note of this idea when talking to an old MWSC teammate, Kate Whitcomb. Breathing through straws demonstrated to her school kids what it can feel like to exercise with less oxygen at a higher elevation.] 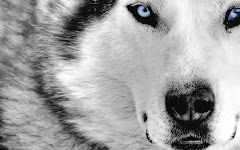 I had them first inhale and exhale, with their noses plugged, through the straw. They didn’t think this was too hard until I had them try while doing jumping jacks. This gave me the results I was looking for: some felt tired, one felt a little dizzy, another described a “pressure” and all agreed it was a bit harder than normal breathing. Now they were all into it, and once the straw trumpets died down, I moved on. Instead of boring them with red blood cell adaptation and oxygen carrying capacities, I introduced them to Jordan Romero. Jordan is only 13 and the youngest person to summit Mt. Everest. I read a few quotes from Jordan while passing around a photo of him on the summit of Everest wearing an oxygen mask. “It feels like you have cinder blocks on your legs. But we weren’t gasping for air up there. You know we were not suffocating, but we were breathing heavy…taking 5 minute breaks every 20 seconds.” They liked this description, so I didn’t bother mimicking skiing slowly during my first few days at a higher elevation. Bringing their own knowledge of hiking and Everest to the conversation, they became increasingly interested in what this was all about, especially once they had to guess how high the tallest mountain in the world is. They came close to the 29,035ft, which was pretty good when you only live at 1,800 ft.
None of them were sure if they wanted to ever climb Everest, but I hope they got the point. In the final moments once they got the gist of my ideas, I decided to take it one step further. What if they climbed Everest, with all the challenges we had briefly talked about, but they were blind? I knew I was talking about some intangible ideas to begin with, but couldn’t help exposing them to just a bit more. I passed around a photo of Eric Weihenmayer, the first blind man to summit Mt. Everest, attempting to jump over a crevasse with the help of his teammates. They were genuinely amazed and just couldn’t believe it. "US Trials Coming Up Next Week"
Snowfall Cards at the Bookstore Plus in Lake Placid. Here's to hoping for a first (significant) snow in Canmore! 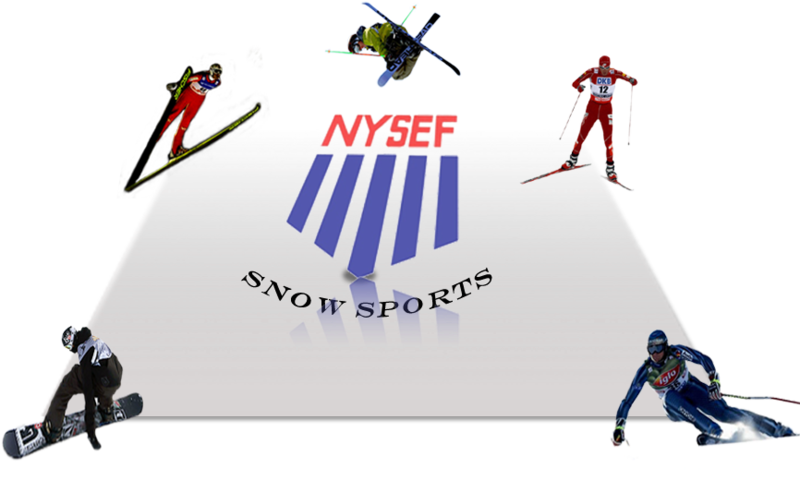 This is an original open discussion held at the NYSEF building at Whiteface next week that will gather people interested in and dependent upon the effects of climate change on the future of winter sports in the Adirondacls. Whether participants help promote winter tourism in our area, run the regional ski venues, or are outdoor enthusiasts themselves, it will be the first time this issue is seriously addressed openly by the public. I am hopeful that this format will not be just a meeting, but that it will incite action, education and sustainability in the Olympic region. Local contributers will be joined by a Finnish delegation who face the same climate effects to their winter sport culture in an environment similar to the Adirondacks. Our regional magazine, Adirondack Life, feature article this month is: Will the Adirondacks Survive Climate Change? Cold nights have enabled Whiteface Mtn. to begin snowmaking and according to www.noaa.gov snow and cold temps are in the forecast. I leave on Sunday for Canmore, Alberta for a two weeks of (hopefully) early on-snow training and competitions. But, due to a lack of snow, my rollerskis and rocks skis will be packed.